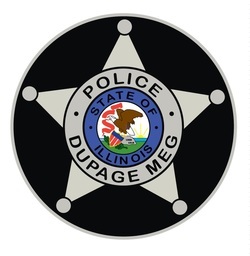 ​DuPage County Metropolitan Enforcement Group (DUMEG) is a county-wide management approach linking local, county, state, and federal police agencies to pro-actively combat illicit drug trafficking within DuPage County, Illinois. DUMEG, as professional law enforcement officers, commit to the fair and impartial treatment of all individuals, placing the highest emphasis on respect for fundamental human rights. DUMEG is committed to maintain a welcoming environment of inclusion through which communication is open to all in facilitating solutions to problems of mutual concern. We therefore solicit and support input from all employees, partnership agencies, and policy board members. DUMEG recognizes that it's employees are the vital components to the success of our mission, andtherefore encourages an organizational climate of mutual respect and trust. DUMEG encourages a policy of professional excellence, which is delivered and enhanced by continuing education and training. As professional police officers, we commit to respecting and protecting the individual dignity and worth of all persons with whom we come in contact, while maintaining quality of life standards for residents of DuPage County.